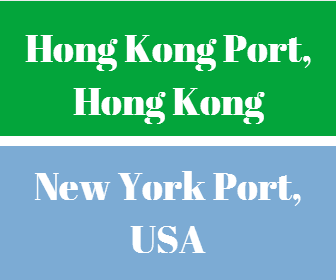 What is the transit time between Hong Kong Port and New York Port? There is a special economic connection exists between China and Hong Kong. Hong Kong is the trade hub for Chinese manufacturing companies. Currently Hong Kong intermediates around 40 percent of China's external trade. Annually, goods amount of hundreds of billions US Dollars in value dispatched from China to Hong Kong and exported to various countries under re-export operations. All of these efforts make the Hong Kong Port 4th busiest container sea port of the world according to 2013 statistics. The Port of New York and New Jersey is the gateway to one of the most densely populated and higher income consumer markets in the world. It is the largest port on the East Coast, and the third-largest in the nation. 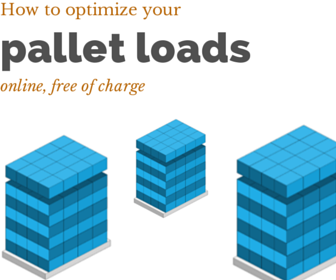 As a result the transit time between Hong Kong Port and New York Port is an important piece of information for exporters and importers using this container freight route. Now let me try to show you the transit time between Hong Kong Port and New York Port via different container liners as belows. What is the transit time between Hong Kong Port and New York Port via HANJIN Shipping? HANJIN Shipping follows Hong Kong Port, Yantian Port, Singapore Port and New York Port route with its own or chartered container vessels. The transit time is around 29 days. It is an express service. This service use Suez Canal, Egypt. You can search HANJIN Shipping's Hong Kong Port to New York Port current vessel schedules from this link. 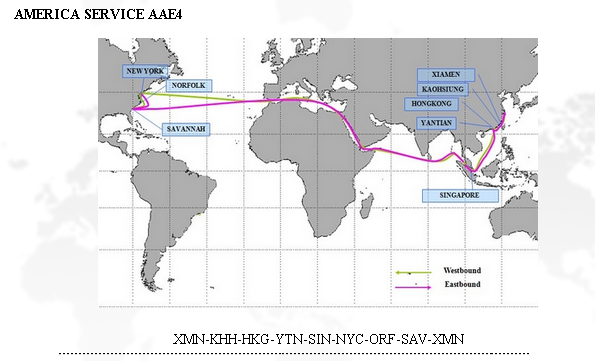 What is the transit time between Hong Kong Port and New York Port via China Shipping? China Shipping follows Hong Kong Port, Yantian Port, Singapore Port and New York Port route with its own container container vessels. You can search China Shipping's Hong Kong Port to New York Port current vessel schedules from this link.